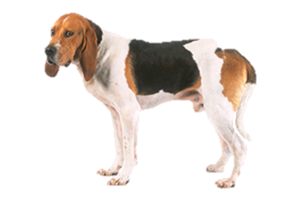 The Chien d’ Artois is a scenthound that was developed to hunt in small packs of six to eight dogs for hare, deer and boar. Due to later crossbreeding that involved gundogs, this breed will sometimes still point when prey is found. Known since the 15th century, the Chien d’ Artois was bred down from the larger Grand Chien d’ Artois, which is now extinct. They became popular in the 19th century and suffered from crossings that involved English gundogs, but by the late 1800s a serious effort by French breeders was established to reestablish the original type. Almost extinct after WWII, it took another breeding program in the 1970s to secure the bloodline, although it remains rare today. Is the Chien d'Artois Right for You?